I am an H1N1 survivor. I am a pneumonia survivor. In the cancer culture, “survivor” is an established part of the lexicon. It is part of every fundraiser, every article, found on every discussion board, and definitely part of tributes and memorials. I’ve even used it myself without thinking. As I ponder my life with cancer I wonder what that word really means? In my view, the pink ribbon has feminized and mainstreamed breast culture to the point that we take it as a given and move ahead in formulaic ways to “raise awareness” and “pay tribute.” The original intent to raise awareness has been replaced by the larger interest of corporate profit and individual income. In an institutional sense, one could argue that breast cancer is a cause that exists to perpetuate itself. 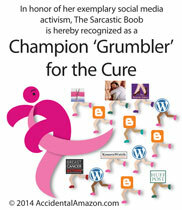 So do Komen and others absolutely eradicate breast cancer and, ergo, themselves? Or do organizations like this perpetuate themselves, always stopping just short of their publicly defined end game? It’s likely not the conscious decision of one or more people, but a kind of zeitgeist that carries these entities along. So often we move in and out of cultures and subcultures for what they offer us for the moment, but only rarely do we stop to critically think about these messages and their impact in a very broad sense. 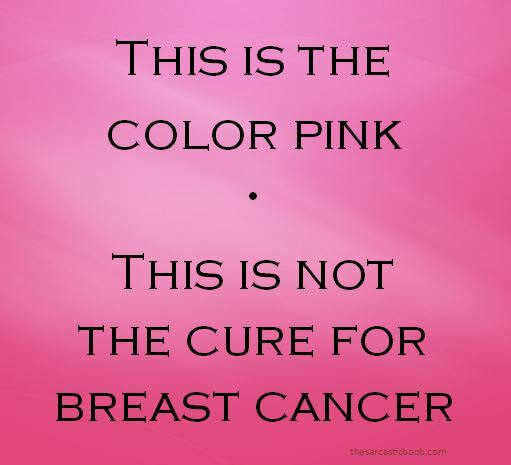 I am not an enemy of the Komen Foundation (the core mission). The money they raise is a critical component of the larger research picture. But the executives, employees, coordinators, and marketers are not volunteers. It is a business; a business that thrives on the staggering statistic that 1 out of 8 women will get punched in the throat with a breast cancer diagnosis. That diagnosis will then support the development of pharmaceuticals and perpetuate the use of those already developed. It will fuel corporations who co-opt the disease to funnel money into their own profit stream. It will support insurance companies who rely on devastating illnesses and the businesses that grow up around them to, in turn, increase their own profit margins. It will always drive the incomes of medical professionals—both corporate and alternative. And, in turn, it pushes the fund raising mechanism. And underneath these weighty and almost incomprehensible structures, are the individuals who have no choice but to choose a road of treatment or accept the Grim Reaper as a dinner guest (and, sadly, sometimes both). There is no grand conspiracy here; it is what it is. These socioeconomic organisms are like tumors, they multiply and divide before our very eyes; we live and work in them everyday. To walk through cancer to the other side we develop strategies that obfuscate that impersonal bigger picture and focus on the self. And when we focus on the self what words do we use? These words engage us. They rally us, our friends, our loved ones, and our medical teams with and around us to face this biological conflict among healthy and defected cells. It’s the social construct we use to push back and live to see another day. And, honestly, there is nothing intrinsically wrong in that. But, I would argue, this coin has a flip side. Much like the pink ribbon does for the movement writ large, these words exist to characterize individuals who need no characterization. I have been diagnosed with cancer, I have sought treatment, I am resigned to see this process through and do everything that I can reasonably do to put this disease behind me. Just as I sought treatment for pneumonia. Just as my doctor and me monitored the H1N1 virus. But I don’t have a pneumonia ribbon tattooed on my arm. I’m not celebrating my second year without H1N1. Waging war is as good a metaphor as any other, I suppose. I do want to destroy the Death Star, no doubt about that. I do want to choose therapies that will destroy the cancer and leave me free of it. That’s for sure. I won’t shy away from singing some Gloria Gaynor if given the chance. But to cover those of us who have the disease with the shroud of “warrior” is to romanticize the experience. What I mean to say is, we all fight every affliction: physical, emotional, or psychological–and there are levels of severity associated with those things–but to idealize it on some larger-than-life scale feeds this machine. I mean, seriously, are you going to give money to eradicate the flu (a major killer worldwide), or are you going to cough up the bucks for the disease that strikes down our mothers, sisters, daughters (a major killer worldwide)? See what I mean? Instead of the military-industrial complex we’re smack in the middle of a medical-industrial complex. To that end, I neither wish to characterize my situation as a battle nor distinguish myself as a survivor (should the cancer be eliminated) of this “special” disease. Because when I do I feel as if I’m feeding the hyperbole of something that is much bigger than one person. I’m living for me. I don’t want to play politics with something this important. My nature is to examine things from a very large umbrella-like perspective. But it will be interesting to see if my thoughts about this remain somewhat static or shift dramatically in this regard. I’m always open to a change of opinion. Let’s see what happens. This entry was posted in Discovery and Stage II and tagged advocacy, Attitude, battle, breast, breast cancer, breasts, chemotherapy, Death Star, Diagnosis, Dune, Frank Herbert, orthodoxy, Philosophy, pink ribbon, Politics, Research, survivor, Treatment, tumor, zeitgeist. Bookmark the permalink. I am not brave, a fighter or a hero; I don’t want to be anyone’s inspiration. 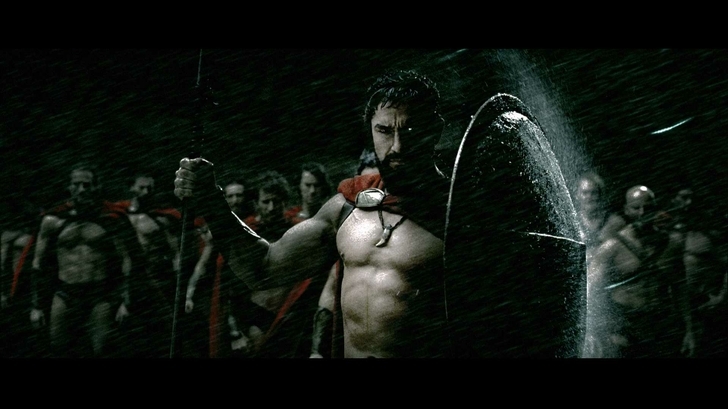 I am not on a journey or an adventure; waging war or doing battle. I am no different from a cardiac patient or diabetic. I am just a person dealing with a disease as best I can.